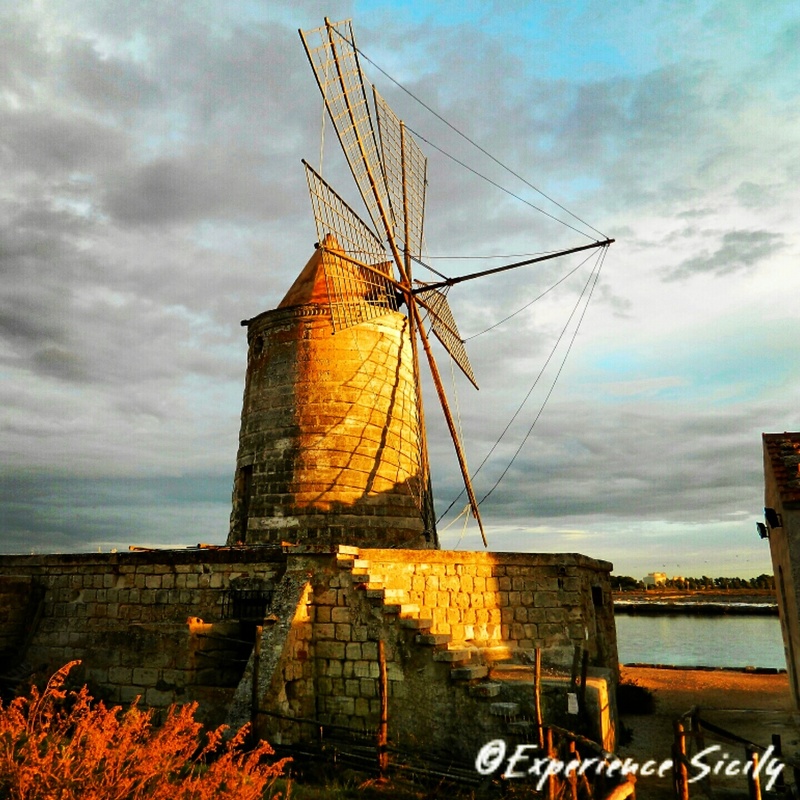 This is the Maria Stella windmill on the Trapani salt flats. It is one of many windmills along Sicily’s west coast whose movement, generated by the force of the wind, powered a mechanism known as an Archimedean spiral (aka, screw conveyors or auger), that moved seawater from one salt flat to another in order to control the level of water in the pan so to elicit evaporation for the harvesting of salt. The wind energy also powered mill stones that ground the dried sea salt crystals. During the 16th century through to the early twentieth century, when these type of windmills were in use, the large wooded blades would have been covered with a fabric material that acted like sails. Photo just beautiful. Radiant light. I guess the Dutch don’t have a monopoly on windmills. Worth a trip to Trapani which is a beautiful seaside city. Visited during Holy Week and the festivals were extraordinary! Plan your own trip now! Yes, it is a beautiful photo. It must have been lovely with the sail material on their blades. Too bad they went out of use – we could use more natural power these days! Now, they have big, ugly steel ones (not here, but in the middle of the island)… So wind power still exists, but not elegant, like this.